Dive deeper into your Norwegian heritage by taking part in Norwegian Summer Camps. As a member of Vikingland Lodge your children can apply for scholarships to attend either Concordia Language Villages (Bemidji, Minnesota) or Masse Moro (Eau Claire, Wisconsin). These camps are supported through the District 1 and District 5 offices of the Sons of Norway. Feel free to visit their websites for more information. Once you have applied to attend a camp, you can fill out the scholarship application below for consideration. There is a limit of 4 scholarships available from Vikingland Lodge. Life at Skogfjorden is infused with Norwegian language and culture from the moment you wake up – participating in small language learning groups, cultural and camp activities, sports, dance, and song – until the close of the day. Counselors from the United States join native Norwegian speakers to engage with villagers and share experiences using vocabulary repetition and gestures to increase understanding and retention. 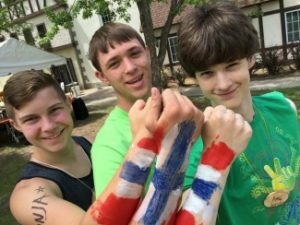 Masse Moro is a Norwegian Heritage camp specifically created with a focus on sharing the history, arts, and rich culture of Norway with our youth. While there is a language component to our program, it is not a language immersion camp. 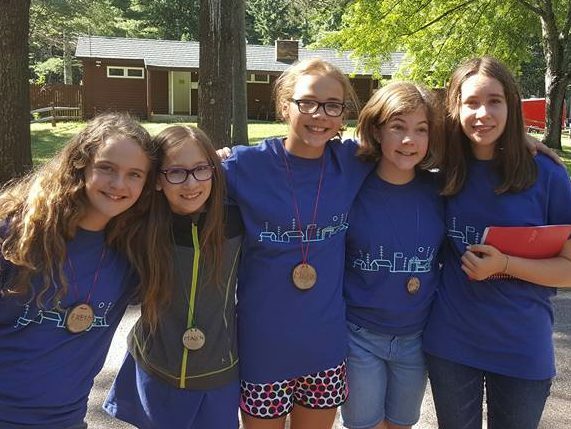 Our camp is located on the Beaver Creek Nature Reserve in Fall Creek, Wisconsin, which we feel is the perfect setting as Norwegians are known for their appreciation of the outdoors and the natural environment. Individuals then apply for a scholarship through their local District #1 Sons of Norway lodge by providing proof of registration to Masse Moro. This is usually in the form of an email from District 5 confirming that the camper has been registered. Paper application forms for Masse Moro can be downloaded from the District 5 Masse Moro website. Have You Applied For Camp?